Governor Jerry Brown has called for substantially increasing California’s renewable energy, alternative fuels, and building efficiency goals. In his inaugural address this week, for his unprecedented fourth term in office, Brown proposed increasing the state’s renewable energy goals from one-third by 2020 to 50% by 2030. In addition to the increased renewable energy target, Brown has proposed setting guidelines to further cut fossil fuel use in cars and trucks up to 50%, and doubling energy efficiency in existing buildings over the same time period. Governor Brown explained that although California is on track to reach its current greenhouse gas reduction targets, set in 2006, the targets will not be enough to help meet the world’s agreed to goal of limiting global temperature rise to 2 degrees Celsius. “If we have any chance at all of achieving that, California, as it does in many areas, must show the way,” Brown said. California is indeed leading the United States in a number of these areas. 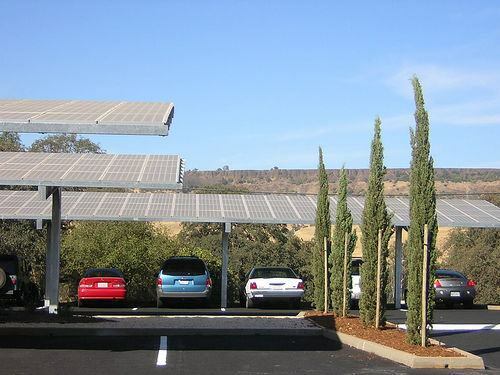 It is the top state for the installation of rooftop solar panels, and is a leader in grid energy storage. Leading clean technology companies such as SolarCity and Tesla Motors were also founded and are headquartered in California. Even though the new proposal seems ambitious, as 2030 is only 15 years away now, many will say it’s still not ambitious enough. However, if these new goals are implemented quickly, they can always be upped again as it becomes clear the targets can easily be met. As the reality of climate change starts to sink in for more people, it’s likely targets will be increased again and again, all over the world. This is only the beginning.